This is my first submisson here:the little beast. 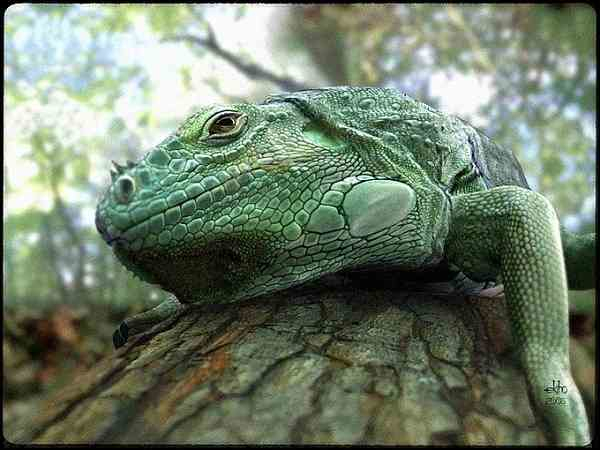 Why i chose an iguana?Well the challenge.It has a very-very complex "skin" and i wanted to Make it real-looking.The texture is FULLY handpainted with digipad. (yes,all of the squamas painted one after another)The igauana has 2 main maps ,the fore part (head,neck,and the first legs) and the back part (body,tail,legs).And of course: diffuse,bump,spec.etc maps. So please share your opinion with me,how could i improve my little beast(and my skills).